We offer career opportunities in management positions as well as life learning experiences in many entry level positions such as phone persons, pizza cooks and food prep personnel. 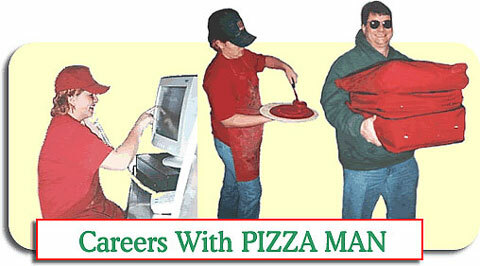 Our delivery drivers find a GOOD income along with a flexible schedule to accomodate a variety of activities. If working for a family owned business appeals to you, give us a call.